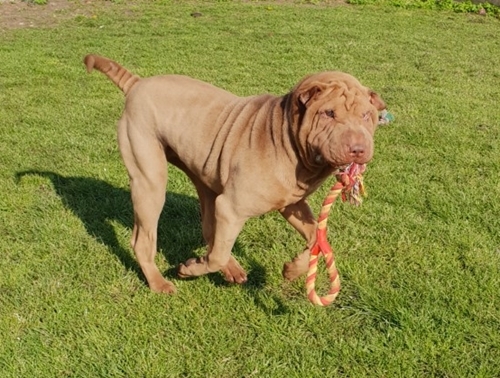 Published 12th April 2019 at 500 × 378 in Dogs Looking for Homes. ‘Enzo’ Approximately 12 to 18 month Male Sharpei. Enzo was originally a stray so his history and habits are unknown. He is a typical shar-pei so woud benefit from an owner who knows about the breed. He still acts like a puppy and can get carried away when playing so cannot be rehomed with anyone under 10.